Critics might say that there's nothing new in today's Super Mario games, but Super Mario 3D World players know better. Sure, the cat power-up and the double cherry were lots of fun, but the best new additions to that game were the Captain Toad levels. Armed with nothing but a head lamp and a can-do attitude, Captain Toad was charged with navigating tricky levels in the hunt for precious green stars. 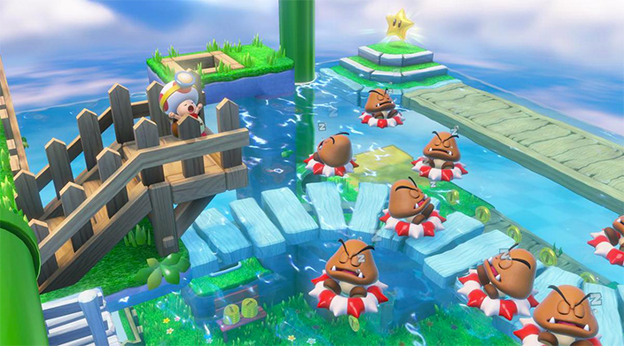 Without the ability to jump or otherwise defeat enemies, Captain Toad had to make use of his environment and the player's observational and puzzle-solving skills to complete levels. 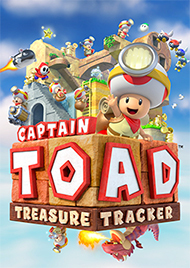 He was so popular with players that he's now getting his own game: Captain Toad: Treasure Tracker. The essence of Captain Toad's adventure involves traversing dangerous cube-shaped levels while looking for the treasures hidden within. The player will need to spin and turn the levels, using different perspectives to solve puzzles and find treasures. With few native abilities, Captain Toad has to err on the side of caution. Two hits in succession will knock him out, but players can grow him back up with a mushroom, just as they can with Super Mario. 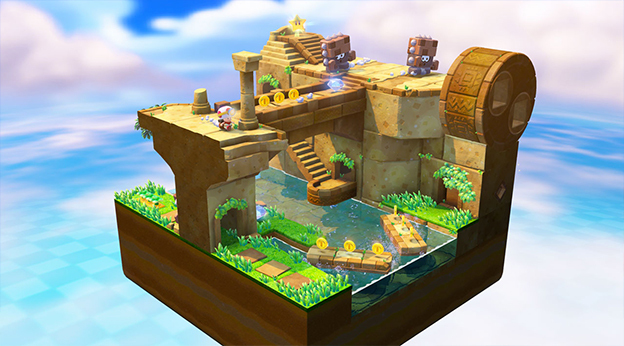 With over 70 levels to complete, the Captain Toad game will feature larger and more complex stages than we saw in Super Mario 3D World. The time limit per level appears to be gone, and some levels will give Captain Toad the opportunity to fight back against his enemies by plucking and throwing turnips, wielding tools, or using power-ups. There are even boss battle levels, such as one during which Captain Toad must race to the top of an erupting volcano as he's being chased by a gigantic dragon. As in 3D World, some levels will require the player to use the GamePad's touch screen to solve puzzles. That could be annoying in the original platformer, but should work better considering the slower pace and more intellectual bent that Treasure Tracker possesses. 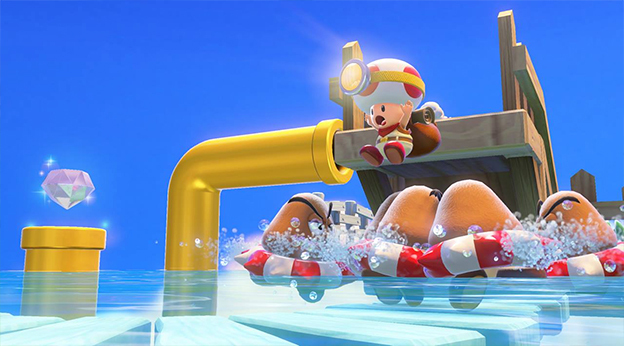 Some levels will work like simple rail shooters, requiring players to tap enemies with the touch screen while Toad rides in a mine cart or roller coaster car. Others will make use of the 'Pad to provide a first-person perspective of the action, though it remains to be seen how well that will be implemented. Whether using the GamePad or traditional controls, manipulating the levels themselves is an important part of Treasure Tracker's gameplay. Just as in 3D World, Toad will be spending a lot of time raising and lowering platforms in order to access different parts of each level. That's not all, though, as available trailers show portions of levels that can be rotated and areas that must be accessed by using a pickaxe to destroy blocks. The chance to take the familiar Super Mario world and manipulate it rather than simply traverse it is a rather compelling opportunity. We've recently learned that the good Captain won't be alone in his quest for treasure. The game starts with Toadette, the pink pigtailed female version of the Toad race, teaching him the treasure-hunting ropes. When a huge bird swoops down to steal the power star that the two had just discovered, Toadette grabs hold of the star for dear life and is carried away. Captain Toad will need to rescue her early on, but once he does so, she'll be unlocked as a playable character as well. We don't yet know if she's an alternate playable character or if she'll have her own series of levels to solve, but she'll definitely be playable on at least some levels. It's nice to see Nintendo continue to get its female characters (as silly and stereotypically pink as they tend to be) involved in the fray instead of simply presented as the prize to rescue at the end of the game. We may not know all the details of how Toadette works, but one thing we know is that there will be a lot of variety in the game's levels. In trailers and demos alone, we've seen Toad and Toadette adventuring through a freight train, a tropical resort, ancient jungle ruins, a mine cart level, a giant slide level, and more. Along with seeing different scenery, the Toads will be facing a variety of enemies and have to use numerous power-ups and tools to collect the treasure on different levels. Captain Toad reminds me a bit of Nintendo itself. Maybe the company doesn't turn out the most powerful consoles on the market, and maybe it's still working on understanding that whole “Internet” thing, but it knows how to have fun and enjoys sharing that sense of playfulness with its customers. As the company becomes more confident with HD game development, we're seeing more and more interesting graphical effects and charming details packed into its games. Captain Toad: Treasure Tracker condenses that trademark Nintendo experience into bite-sized puzzles that burst with personality. I can't think of a better stocking stuffer for gamers of all ages.